Whether you see Easter as a time for church or as a time for catching up with family and friends, decorating your house for the occasion can be a lot of fun! When you trace Easter back to its earliest origins, you would find that the month of Easter used to be a celebration of the beginning of spring in the northern hemisphere. 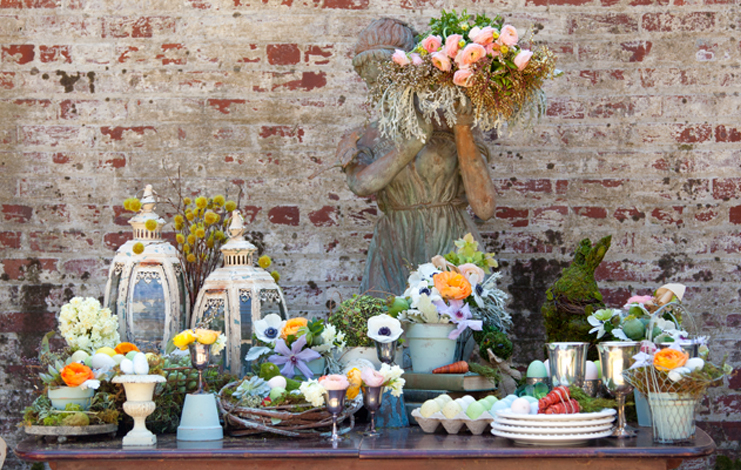 This is why Easter décor is usually themed around fresh blooms, pastel colours, rabbits and other symbols of new growth. Here, we look at some simple, eye-catching ways to brighten up your home in time for Easter. 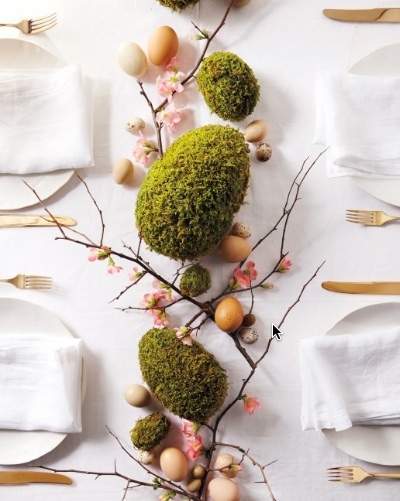 There are a number of ways you can use a centrepiece to add a bit of extra Easter-cheer to your long weekend. Moss covered eggs, for example, make a lovely, earthy centrepiece. A lot of gift and homewares retailers sell centrepieces much like these, or you can make your own. 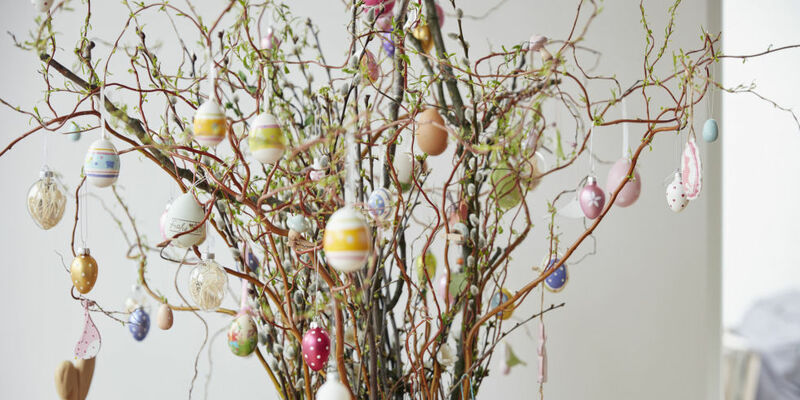 Real or faux quince or blossom branches can be used for the twigs, while blown out eggs and moss moulded to the shape of the eggs will create an authentic-looking moss egg. If you don’t want to use real eggs, foam ones, or even large pebbles can also work just as well! Where can you find the moss? Florists often sell it or check out your local craft store for some artificial moss. On special occasions, ordinary tableware just won’t do. 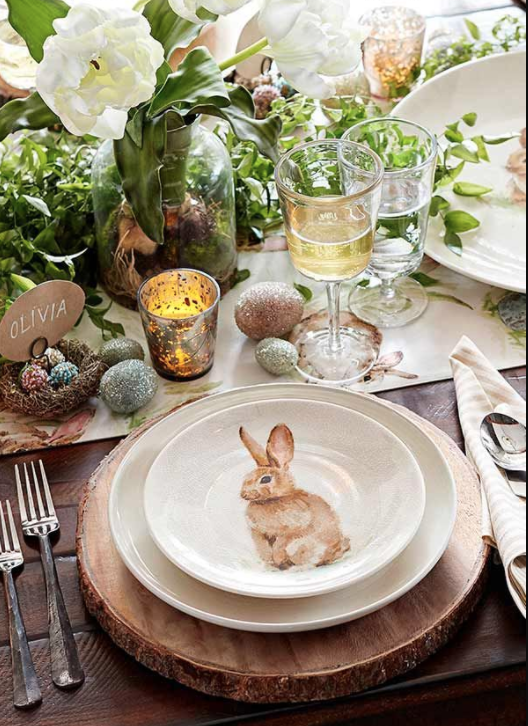 Take your table to the next level; with a truly spectacular arrangement that’s classy, but still elicits childhood memories of Easter bunnies and candied eggs. Soft pastel colours, or woodland-themed pieces like the pictured wood log placemat will look beautiful, while the addition of complementary linens – table liners, cloths or even napkins that are a touch nicer than standard paper ones – will add the finishing touches. Who said trees were just for Christmas? Instead of your typical evergreen, opt for a branchy tabletop tree that’s showing signs of new growth. You can head to your local florist to find one or even venture into your own garden and arrange some fresh twigs in a simple, glass vase. You can also purchase artificial ones that can be used for years to come from gift and home decorating stores. Decorate your tree with glass or porcelain eggs, miniature plush bunnies, or even some fresh flowers and greenery. Wreaths are recognised as a symbol of the circle of life and growth. As Easter is a celebration of life renewed, both from a religious and non-religious standpoint, what better home decoration than a spring wreath? 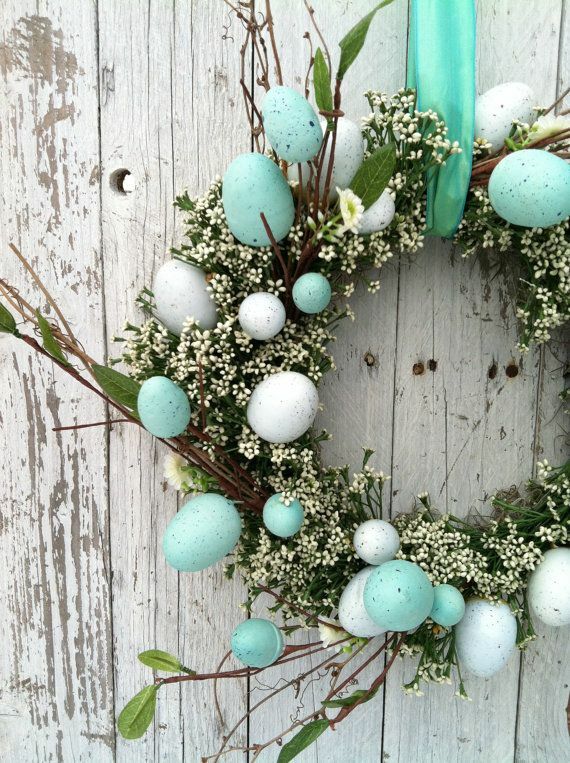 Unlike the evergreen wreaths that dominate Christmas’ festivities, Easter wreaths should be simple and fresh, adorned with items that represent new life, such as flower buds, small sprigs of greenery and eggs. It just wouldn’t be a modern-day Easter without some form of Easter bunny. We’re not talking about the purple-vested bunny made famous by Cadbury – we’re referring to the cute and fluffy variety. Rabbits have been linked to Easter, because it’s in spring that they start appearing in their natural habitats, as this is when they have the greatest access to their food sources, and when they typically prefer to mate. While Easter might fall in autumn in Australia, the spring theme and symbol of the rabbit is as much a part of our traditions as it is in the northern hemisphere. Come March each year, rabbits of all make and designs start flooding the shops; and not just the chocolate variety. 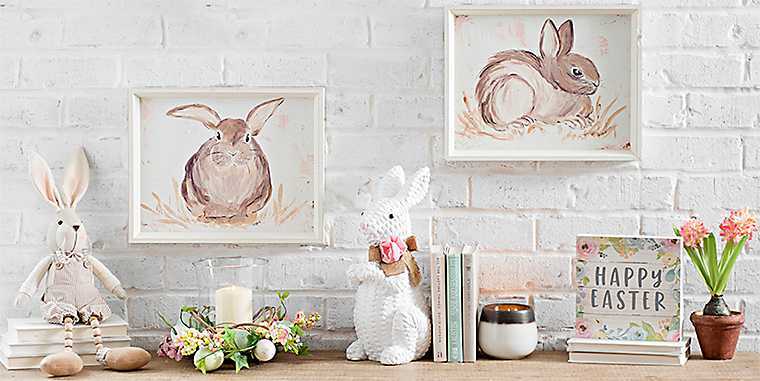 Stuffed linen rabbits, porcelain or wooden designed rabbits all make a very appropriate addition to your Easter decoration. Arrange them with some flowers or books on a window seal, on a buffet unit, or even in the centre of your dining table. Finding the inspiration to decorate your home – and decorate it well – can be tricky. However, the DIY home design course at Judith Molyneux Designs has been created to help everyday homeowners – like you – realise your designing potential. Upon completion, you’ll be equipped with the skills and inspiration you need to make your house the envy of your friends and family over the holiday period, and long after you decorations have been packed away. Call us on 08 9317 6146 or send an email to Judith@molyneuxdesigns.com.au to learn more about our interior décor and design courses.